Whether tending to commercial crops or home gardens, vegetation needs to be watered regularly to stay viable. 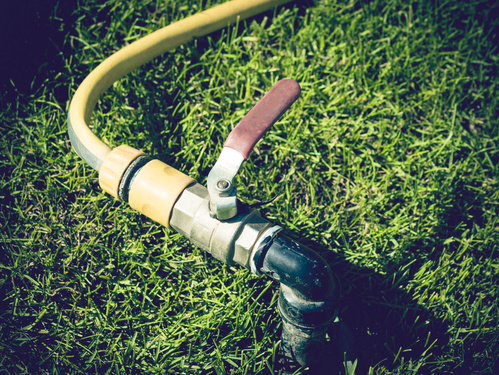 Because watering frequency and dosage demands vary, people often opt for either drip or spray irrigation systems to care for their landscapes. Below is a brief guide to understanding the benefits and drawbacks associated with each irrigation method. This irrigation system is designed to deliver water directly to the soil at gradual rates via tubing valves, emitters, and pipes. Installed closely to the ground, equipment is hidden by surrounding vegetation. Unlike sprinkler systems and other overhead irrigation techniques, there’s no liquid runoff. This means less water is wasted during operation. This method is best for farming or tending to vegetable gardens, as specific watering variables can be controlled. Although exact soil moisture levels can be managed with drip irrigation, the placement of equipment can sometimes prove problematic. Rodents can eat through tubes, while pipes could be unintentional obstacles to root development. Careful installation and regular maintenance should prevent these problems. Spray irrigation systems are often used to meet the lawn maintenance demands of expansive landscapes. Resembling the effect of rainfall, large volumes of water are sent through pipes to a pumping mechanism, which shoots the liquid into the air to fall on the plants. The water lines can be installed underground, which eliminates the chances of local wildlife or lawn care equipment causing damage. Many systems operate on automatic timers for convenient operation. Spray systems must be calibrated correctly to be effective. Otherwise, over-watering could kill the plants, cause fungi growth, or lead to even greater water consumption. Because spray irrigation systems have a wide reach, there’s a sizable amount of runoff. Be careful where equipment is installed, as drenching areas without ground cover could lead to weed growth. If you need a high-quality irrigation system and parts to maintain your yard, farm, or agricultural business, reach out to Wisdom Industries in Aiea, HI. They’ll provide state-of-the-art products and landscape maintenance tips to keep tropical vegetation lush. To ask about specific items available on Oahu, call (808) 839-0006 today. Don’t forget to like their Facebook page for additional information.